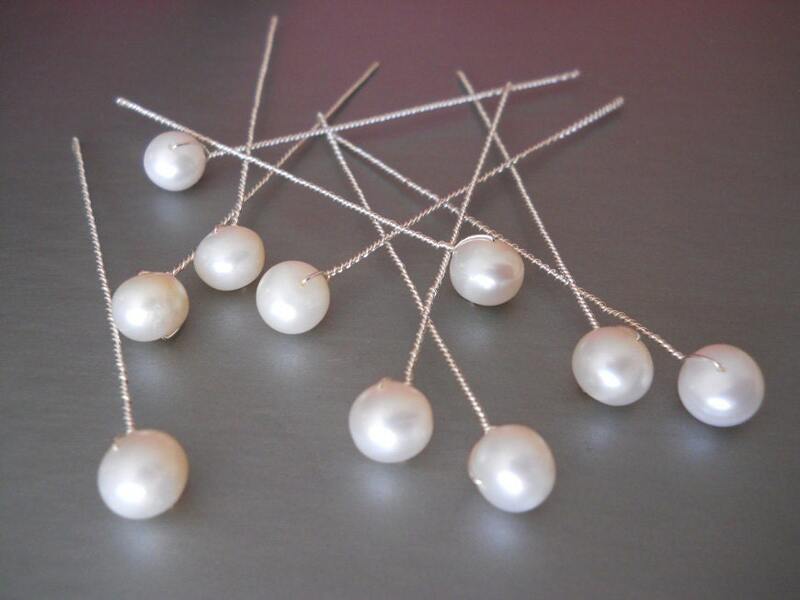 These simple elegant pins make a great addition to a variety of hairstyles. These pins are very light and bendable. 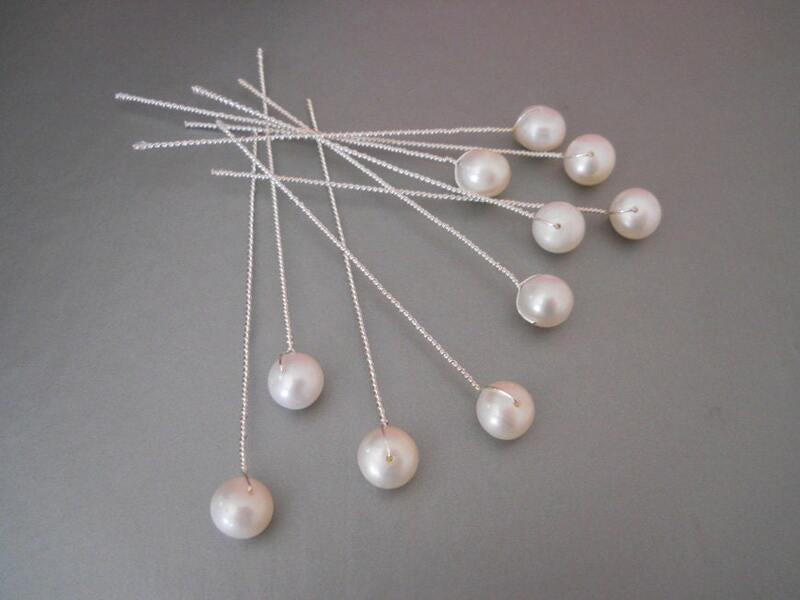 They each measure 3" long with 3/8" fancy round Akoya pearl on top.